RadioShack Nissan rider Frank Schleck is facing a probable departure from the Tour de France after testing positive for a banned diuretic at the race. The UCI has issued a statement informing the Luxembourg rider that an in-competition test taken on July 14th and subsequently analysed at the WADA accredited laboratory in Châtenay-Malabry revealed traces of the diuretic Xipamide. It is a so-called specified substance, which can carry a lighter suspension than other products such as EPO. As a result the UCI’s rules do not mean he must automatically leave the race. However, as was the case with Alexandr Kolobnev when he tested positive for hydrochlorothiazide in last year's Tour, the governing body makes it clear that RadioShack Nissan should withdraw the rider. Neither Schleck nor his team have yet communicated on the subject. Diuretics are restricted in sport as they can at times be used as masking agents. 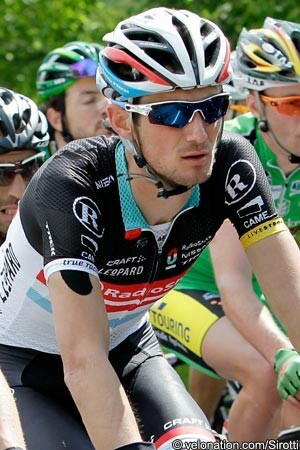 Schleck finished second in the recent Tour de Suisse. He was twelfth overall in the Tour, nine minutes 45 seconds off yellow.